Westcoast Solar Energy is not one of those typical solar companies in Sonoma County. 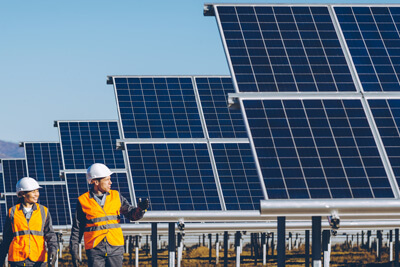 We offer exciting solar energy jobs with our commercial solar projects taking you places other solar power companies cannot with state-of-the-art solar monitoring technologies. 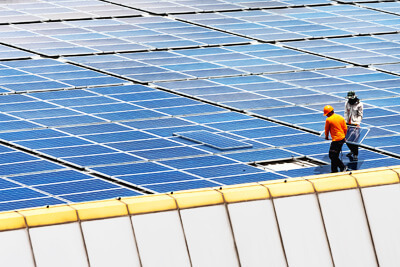 Solar Photovoltaic Installer jobs involve assembling photovoltaic modules and panels, mounting equipment on residential and commercial rooftops, applying weather sealing, and connecting wires. This essential hands-on work usually requires lifting heavy loads and working at great heights. Experience in roofing, electrical work, or general construction can certainly boost your job prospects. 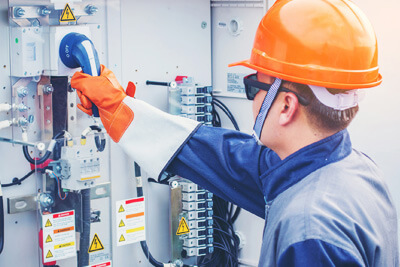 Solar Installation Electricians are responsible for connecting solar equipment, such as panels and inverters, to a building’s main power supply or to the region’s electrical grid. 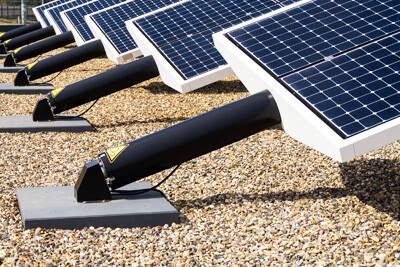 Solar Installation Electricians plan the layout of wiring and fixtures, do voltage testing and ensure that the system complies with all applicable city, county, state, and national codes. 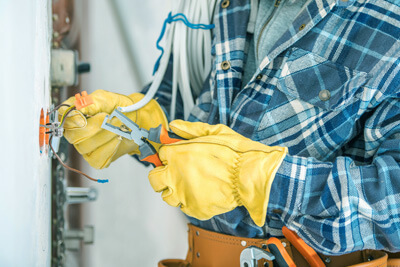 Journeyman Electricians are electricians who have completed their Apprenticeship and who have been found by the local, State, or National licensing body to be competent in the electrical trade. Installation of Conduit, wire, and disconnects, Inverters and connection to utility grid. Proficient with all electrical construction related tools and testing equipment. Capable of managing resources and other technicians. Management of project schedules and deadlines while maintaining high-quality workmanship. Knowledge and understanding of safe working practices and electrical PPE. Capable of reading electrical engineering plans. Knowledge of DAS communication hardware and LV communication wiring. Apprentice Electricians are on their first step toward becoming a fully licensed and capable Journeyman Electricians. 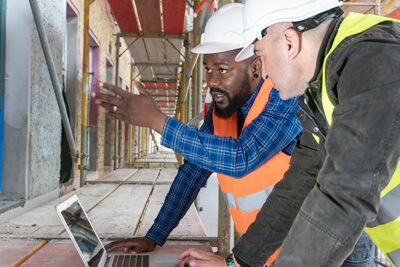 Apprentices start to learn from other Journey and Master Electricians in apprenticeship programs, usually through a local union or trade organization. A reliable asset to the Journeyman Electrician. 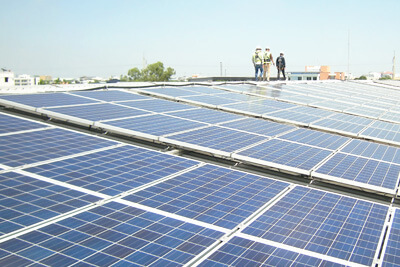 Solar Site Assessor evaluate the total amount of energy that can be collected at a specific location. This includes measuring roof areas, reviewing historical weather data, and determine the type and layout of the solar panels that are needed. Solar Site Assessors must also calculate installation costs and write up their findings and recommendations for customers. Solar Installation Manager positions devise and coordinate the overall plan for solar installations. 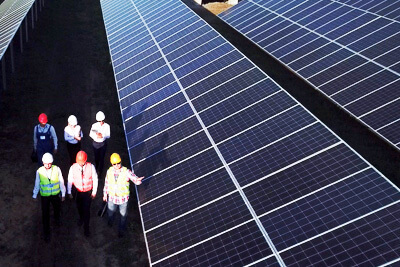 They are also responsible for setting work schedules, tracking costs, training crew members on proper solar installation procedures, and check the quality of finished work. Maintain a Safe working environment. Blueprint reading. Layout of roof and ground mount projects. Capable of managing resources and other technicians. Efficient mechanical assembly of racking systems and solar panel mounting. Time management skills. Understand DC circuitry. Residential Solar Service Technicians troubleshoot and repair photovoltaic systems for residential areas. They diagnose issues, replace faulty components, calibrate systems, and solve wiring and electrical problems. Residential Solar Service Technicians may also communicate directly with customers, and many are also licensed Electricians. Commercial Solar PV Technicians work on large-scale photovoltaic system monitors, test, and maintain solar sensors, transformers, inverters, weather instrumentations, and fuel cell equipment. They identify and repair issues with electrical and mechanical equipment and replace parts as needed. Some Commercial Solar PV Technicians can work out of a single facility, whereas others may travel to different project locations. Solar Utility Operators use sophisticated technical equipment to monitor the operation and performance of photovoltaic arrays and generators. They investigate solar system outages and coordinate with other solar technicians and operational staff to resolve issues, maximize production, and ensure safety. Solar Utility Operators also document all solar maintenance activities. 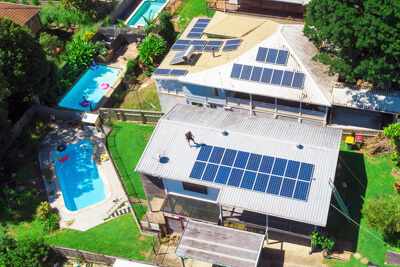 Residential PV System Designers use information from onsite photos and surveys and design solar photovoltaic systems for residential rooftops. This work includes calculating system sizes, creating electrical diagrams, and selecting appropriate components. 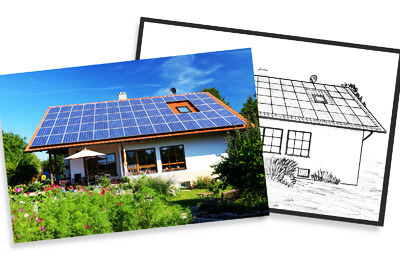 Residential PV System Designers may also work with building department officials to obtain the required permits. Commercial Solar Design Engineers develop large-scale photovoltaic or thermal solar systems in order to make renewable energy. 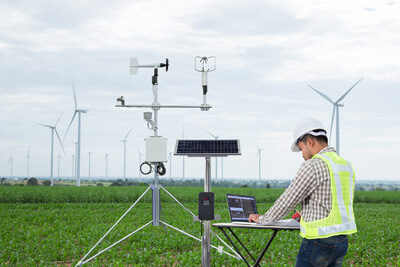 This position involves running computer simulations of system performance to identify and improve inefficiencies, devising the specifications to connect solar energy systems to electrical grids and determining best installation procedures. Solar Product Development Engineers develop, test, and document new or improved products for the solar industry. These products could include anything from more efficient photovoltaic cells to better energy storage systems. The Solar Product Development Engineer must always consider cost, durability, and manufacturing requirements when coming up with designs.